As many an experienced traveler knows, it's when you are traveling alone that locals make an extra effort to make sure you're enjoying their destination. This is especially true in Napa Valley, where you'll meet artists eager to talk to someone interested in their work, winemakers who will hold forth on their products, and chefs who may share a secret to their dishes. Workshops, classes, organized tastings, and the area's busy calendar of events assure that you can always find something to do. 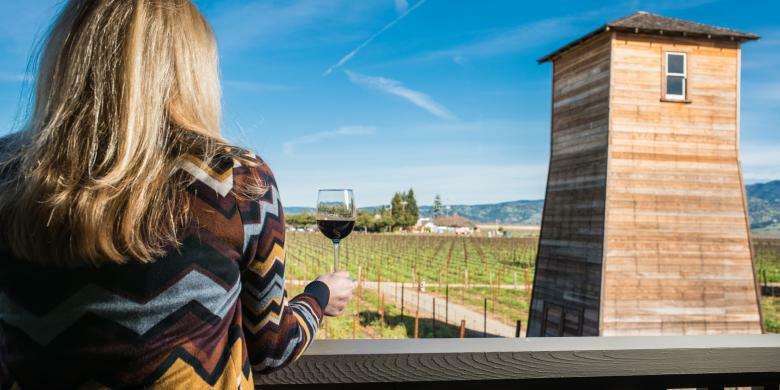 So peruse our three-day itinerary for one in Napa and then make it your own. 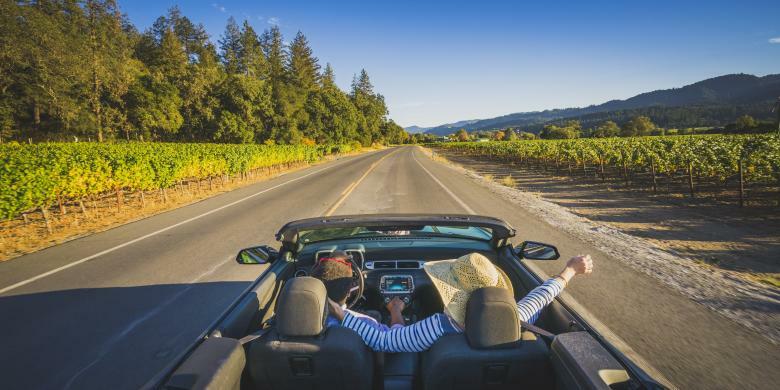 The key to a great solo trip is advice from local experts, and you’ll find them at your first stop, the Napa Valley Welcome Center. 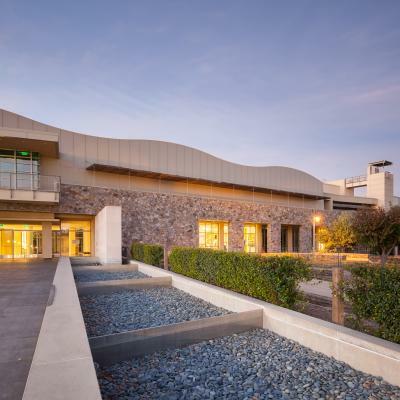 Located along the scenic Riverfront in downtown Napa, the Welcome Center offers complimentary maps and guides, as well personalized concierge service to help you book a hot air balloon ride, spa treatment or dinner reservation. 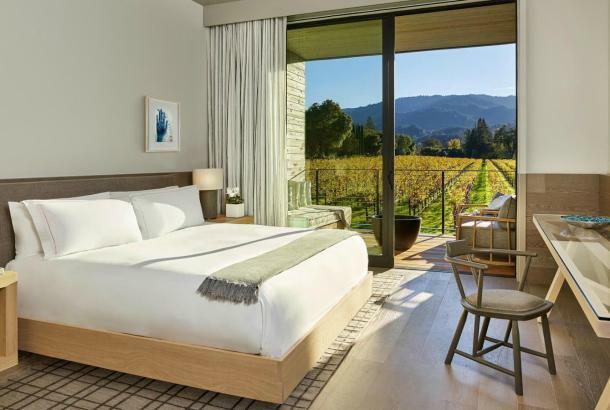 One of Napa’s newest hotel offerings is the 68-room Las Alcobas hotel, a treat-yourself kind of place that has vineyard views while being close enough to St. Helena that you can visit its shops and tasting rooms on foot. The rooms are cool and contemporary—most have outdoor terraces—while the Acacia House restaurant (as well as six guestrooms) occupy an elegant 1908 mansion with a wrap-around porch. 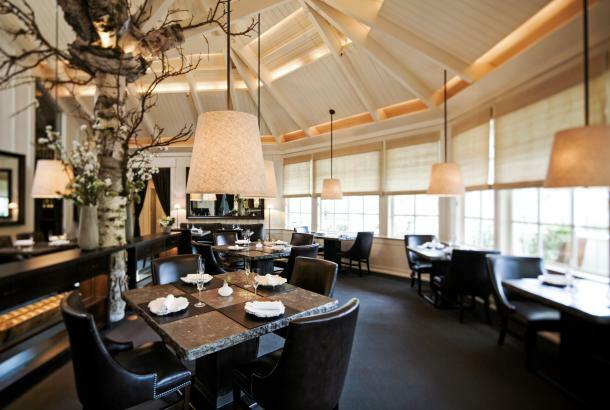 After you’ve settled into your room, head out to explore the tiny hamlet of Yountville. The town’s art walk began in 2010 with four sculptures donated by sculptor Gordon Heuther. It has now grown to include 40 outdoor works of art. There&apos;s more art to be found at V Marketplace, which originally opened as a winery in 1870. After being restored and renovated, it reopened in 1968 as a collection of four galleries and a number of boutiques. After exploring its shops, you may want to stop at the wine bar that pours selections from nearby vineyards while the knowledgable staff will give you an overview of the Valley&apos;s wine scene. In the evening, get another cultural fix near Las Alcobas at the Cameo Cinema in St. Helena, built in 1907 and lovingly restored. It now shows both classic Hollywood films and new independent and foreign releases. 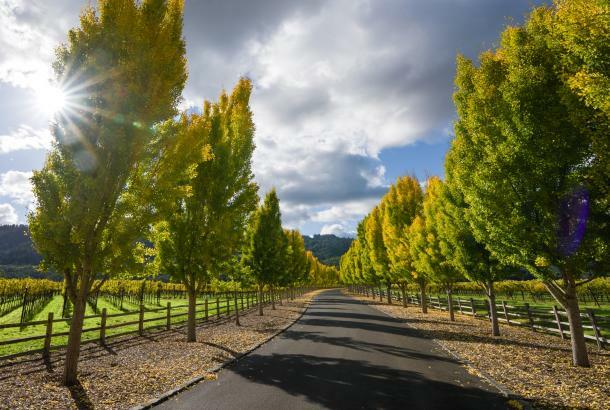 With the Napa Valley&apos;s almost perfect weather year round, it makes sense to get outside. While you can rent a bicycle or explore one of the many parks in the area on your own, if you&apos;d rather join a group, Enjoy Napa Valley offers historic kayak tours, with locals providing the stories behind the sites you see along the banks of the Napa River. The company also hosts bicycle tours to wineries and combined bike and kayak tours. After you get out of the water, take some time to explore the galleries and shops in downtown Napa. 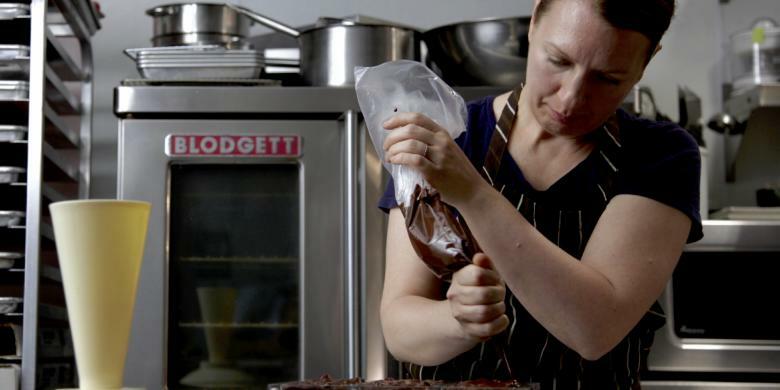 Make a detour to La Forêt, the petit shop where Le Cordon Bleu-trained master chocolatier Wendy Sherwood (formerly of The French Laundry) creates seasonal small-batch chocolates and other confections. 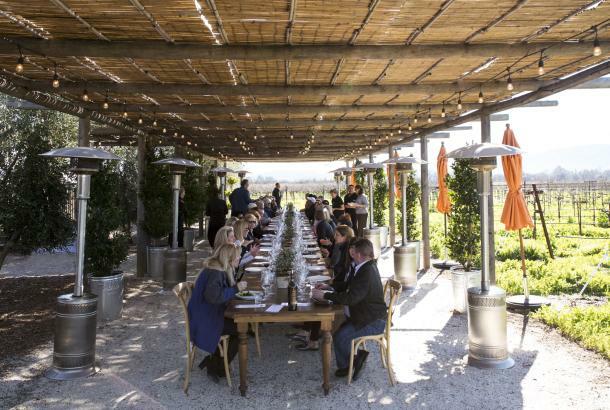 The Culinary Institute of America&apos;s new CIA at Copia facility in Napa&apos;s Oxbow district opened at the end of 2016 and provides an introduction to the Valley&apos;s agricultural bounty. Enjoy a lunch of Mediterranean-inspired dishes made with California ingredients, overlooking the facility&apos;s gardens and olive grove. After your meal, head to class—choosing from the institute&apos;s cooking and baking classes or perhaps a tasting one, which will help you appreciate Napa Valley&apos;s cheeses, olive oils, and wines like a true connoisseur. Afterwards head to St. Helena for the evening. Wander the main street, lined with cafés, restaurants, and boutiques, and then stop into Ana&apos;s Cantina, the town&apos;s friendly watering hole. You will likely soon meet some locals over a game of dice, a round of pool or, on some nights, a karaoke session—at least for those who are happy to take center stage. 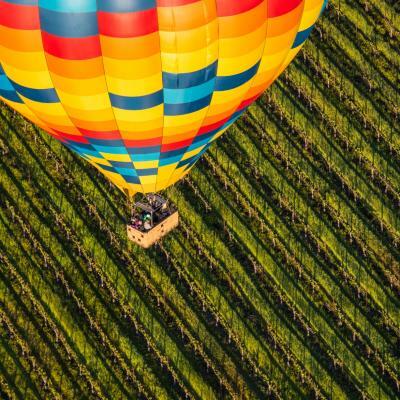 This morning you will head Up Valley, as locals call the northern end of the Napa Valley, and then you will travel up in the air, with a hot air balloon ride with Calistoga Balloons. 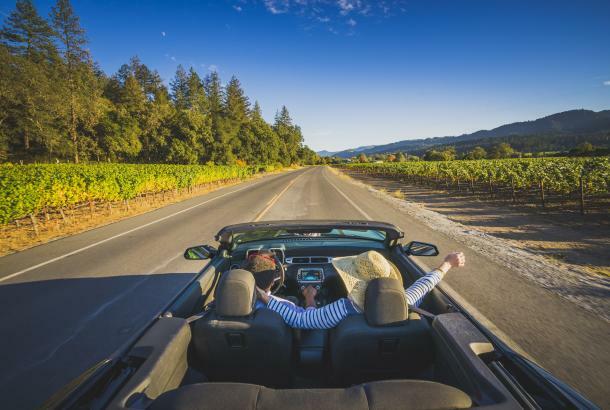 The adventure will give you a bird&apos;s-eye view of the wineries and the dramatic profile of Mount St. Helena. Once you are back on solid ground, you’ll enjoy a brunch with your fellow travelers. 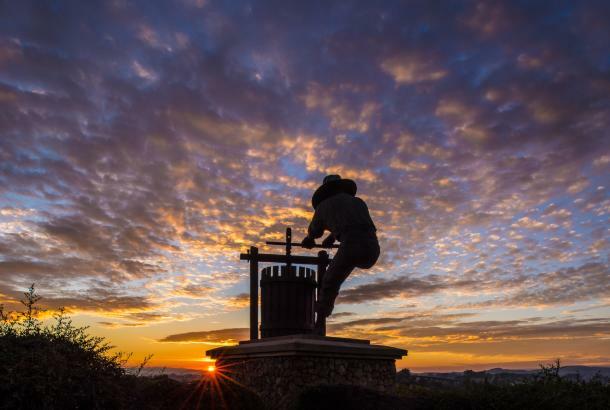 If you want to sample some of the Napa Valley&apos;s most famous product, its famous wines, but aren&apos;t interested in exploring on your own, there are a number of different group tours you can join. On a Platypus small-group tour, you&apos;ll visit four wineries, have a picnic lunch, and learn about the history and culture of wine making. Or you could take a cable car to four wineries when you board the Napa Valley Wine Trolley. The six-hour tour aboard a reproduction of an 1890s cable car stops at several wineries and also includes a picnic lunch. If you&apos;d rather head out on your own, the Tamber Bey Vineyards are a good option where the staff welcomes visitors either in groups or alone and will introduce the merlots and other red wines the winery is known for. The operation near Calistoga also includes an equestrian facility, and meeting the rescued horses may be the highlight of your visit. Then take an aerial tram to the Sterling Vineyards, sitting some 300 feet above Calistoga. The unusual winery is modeled after the architecture of the Greek island of Mykonos, and the white stucco buildings glow under the blue skies of California. 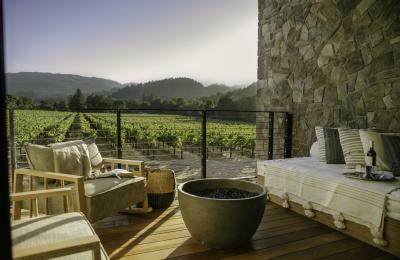 Later in the day, experience what Calistoga is most famous for: its hot springs and mud baths. There are a number of different day spas, as well as ones attached to resorts, where you can sit in a bath of volcanic ash mud. (Trust us, the experience is more pleasant than it might sound.) Dr. Wilkinson&apos;s Hot Springs is a somewhat funkier option, where you&apos;ll get a warm welcome even if the facilities are not quite as luxurious as the Spa Solage at Solage Calistoga or the Indian Springs Resort. Follow the mud bath treatment with a massage or facial, and you&apos;ll end your Napa getaway with a glow.